Vivo has scheduled an event in India on May 29 to launch a new smartphone without mentioning the name of the device. The launch invite has a big ‘X’ in it so it will be an ‘X series’ smartphone and is most likely be the Vivo X21 that was launched in China back in March this year with an in-display fingerprint sensor version and a standard version. 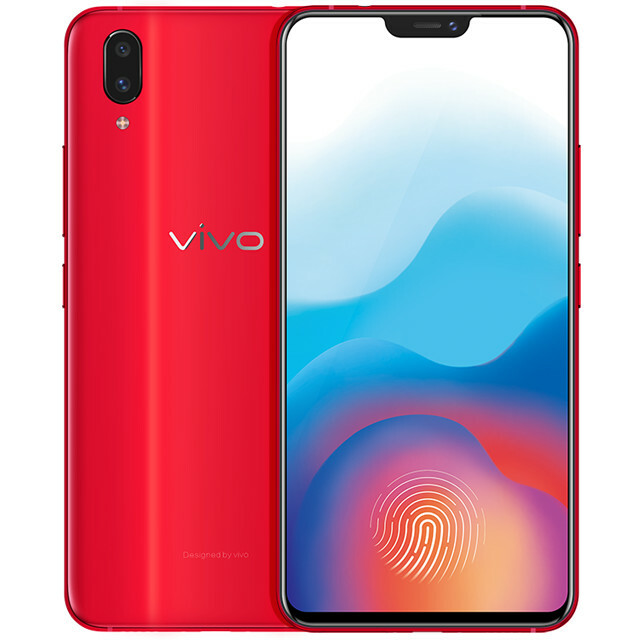 It is not yet clear if Vivo is planning to launch both the standard version with rear-mounted fingerprint sensor or the top-end version Vivo X21 with under-display fingerprint sensor in India. However, a previous rumor suggests that Vivo might launch only Vivo X21 with an in-display fingerprint scanner in India and it will be priced at Rs. 34,990. The Vivo X21 sports a 6.28-inch FHD+ (2280 × 1080 pixels) Super AMOLED display with 19:9 aspect ratio and a notch on the top. It is powered by an octa-core Snapdragon 660 processor with Adreno 512 GPU. It packs 6GB RAM, 128GB internal storage which is expandable up to 256GB with microSD. Camera wise, it sports a dual rear camera setup with a 12MP primary camera with LED flash, f/1.8 aperture, and a secondary 5MP camera with f/2.4 aperture. For selfies, there is a 12MP front-facing camera with f/2.0 aperture, LED flash and AI capabilities. The Dual SIM phone runs on Funtouch OS 4.0 based on Android 8.1 Oreo. Connectivity options are 4G VoLTE, WiFi 802.11 ac (2.4 GHz + 5 GHz), Bluetooth 5.0, GPS. It has a 3200mAh battery with fast charging support. It also sports a 3.5mm audio jack and AK4376A Hi-Fi audio chip. Dimension wise the phone measures 154.45 × 74.78 × 7.37mm and its weight is 156.2g. The Vivo X21 with in-display fingerprint sensor has been launched at 3598 yuan (Rs. 37,085 approx.) in China. However, as mentioned, a report from PhoneRadar suggest that it will be launched at Rs. 34,990 in India. We should know the actual price of the device in India when it is launched later this month.